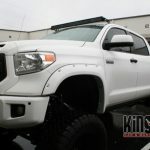 A client from Tualatin, OR, contact Kingpin Car and Marine Audio about installing some new lighting for his 2017 Toyota Tundra. 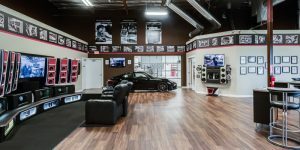 We scheduled a consultation with the client to review what lights he wanted and where we would to install them. With a plan in place, we created a quote for the client. He approved the expenditure so we scheduled a time to perform the installation. The first light we installed was a Rigid Industries RDS-Series 54-inch LED bar. 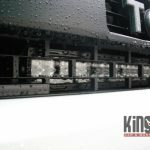 This bar contains 108 induvidual LEDs and will produce an amazing 28,242 Lumens of output. 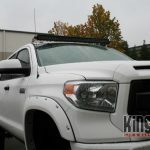 We used a set of Rigid’s roof mount brackets that are designed specifically for the Toyota Tundra. The second light is also from Rigid and is a 30-inch dual-row from the RDS series. 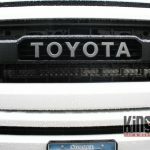 We mounted this light behind the front grille, just beneath the Toyota badge. The 30-inch bar produces 15,690 Lumens from its 60 LEDs. 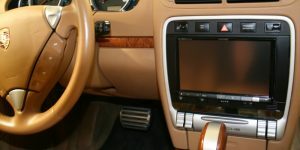 As with every electrical component we install in a vehicle, we routed all of the wiring carefully and secured everything with Tesa cloth tape and premium zipties. Electrical connections are soldered for maximum conductivity and reliability. 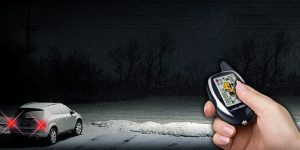 Do you spend a lot of time driving at night? 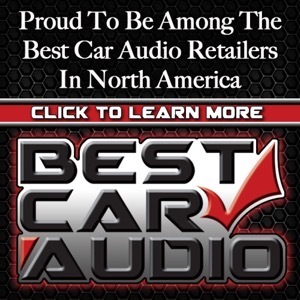 Contact us here to schedule a consultation to add lights to your vehicle.